I love March! Days are really getting longer, the robins are back, daffodils are about to bloom, the whole promise of spring is inspiring, even though the weather is proving to be schizophrenic. And March has a holiday special to this Fitzpatrick - St. Patrick's Day, a day on which everyone is Irish. If you stop by the shop on March 17th, you just may get to taste some of my own special homemade Irish Soda Bread! Lots of new spring yarns are arriving during March. For example, already arrived is Luma from The Fibre Co.
A classic DK weight yarn, Luma is a lovely combination of 50% merino wool, 25% organic cotton, 15% linen and 10% silk, perfect for season-changing fashion. Plant-based fibers mixed with silk and wool provide a built-in layer of warmth in winter yet lightness when required in warmer temperatures. 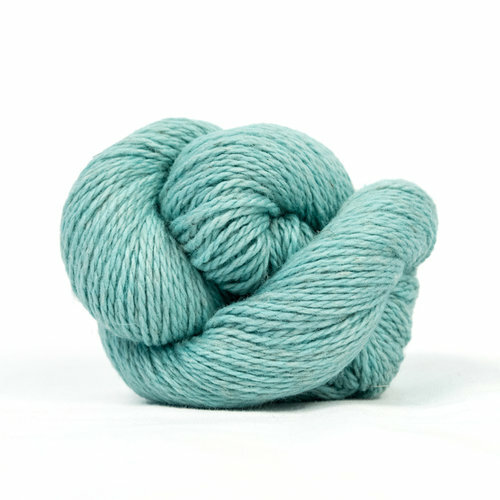 Another beautiful new spring yarn is Hanako from Classic Elite Yarns. 50% cotton and 50% linen combine for a classic summery yarn in a popular worsted weight. The long wearing linen fiber has a subtle sheen and adds body; cotton adds stitch definition and softness. This yarn gets even softer the more it's worn and the light and vibrant palette is perfect for warm weather wear. I could go on and on about all the new yarns, but this newsletter would get too long very quickly - and I have very much still to tell you. More fantastic yarns are arriving daily - stop by the shop as soon as possible to see them all and for the best selection! 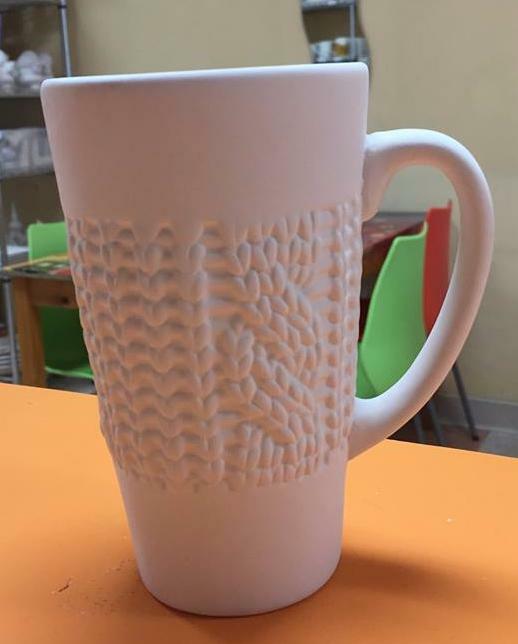 Come join the pottery painting fun at Conversational Threads where you can create your own personalized yarn bowl or mug! 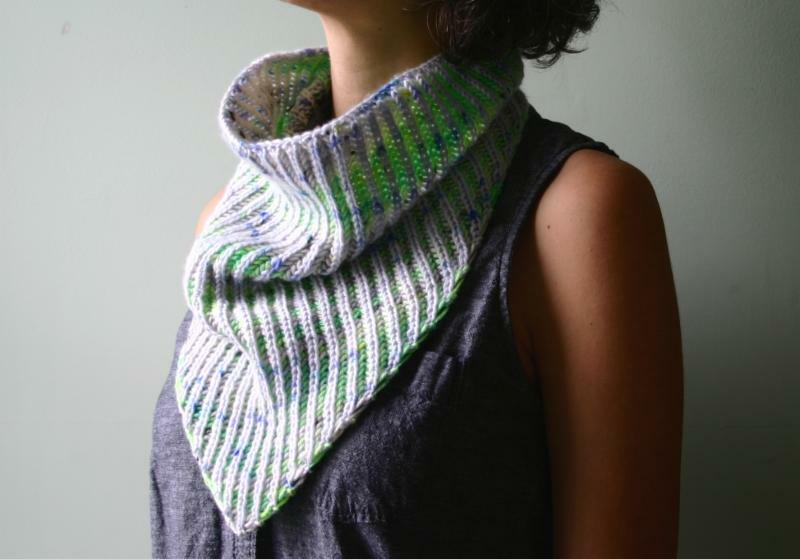 Just imagine what a wonderful gift this would make for your knitting and crocheting friends and relatives - or yourself! 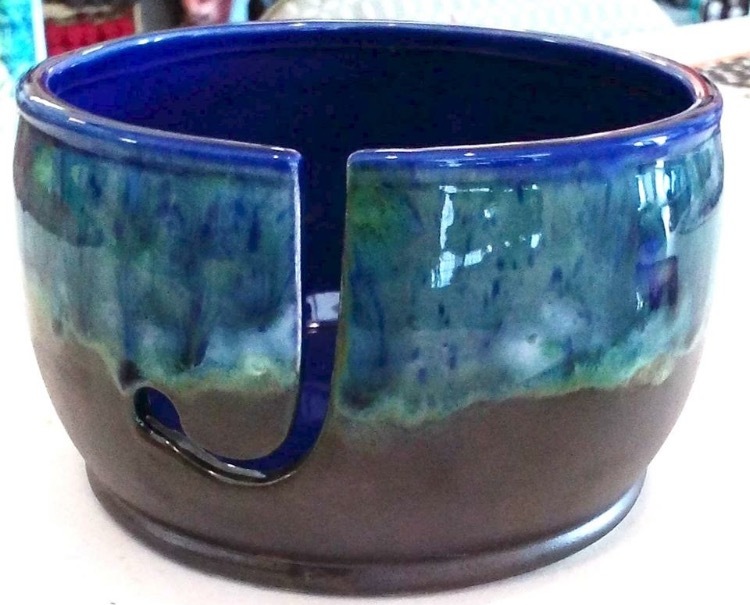 - a yarn bowl decorated by you, a mug for your coffee or tea! This is our eighth time hosting this event, and it has been a fast sell-out each time. Decorate your item with your name, or sheep, or yarn balls, or whatever you can imagine!! Come supplied with some ideas of how you might like to decorate your bowl or mug for the best experience. Cost for this awesome event is $35, and all supplies, including firing of your finished masterpiece, are included. Sign up now, because the event is strictly limited to 10 people. Bus Trip to 2017 Maryland Sheep and Wool Festival is Booked! 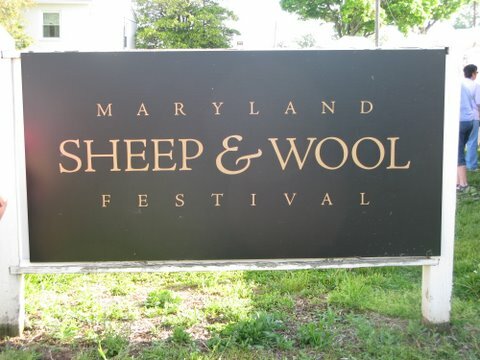 Once again, by popular demand, we will be running a bus trip to the Maryland Sheep and Wool Festival on Saturday, May 6th. Cost for the bus trip is $49, including the bus driver tip. Snacks and bottled water on the bus included. New this year is that there is a $5 fee to enter this festival. I have contacted the festival organization to inquire about getting tickets for everyone in advance, and I will announce it if I am successful. Call the shop (610-421-8889) or stop in to sign up for this trip - it fills up quickly! Our Most Popular Annual Event is Coming Up! Our Annual Fashion Show Will be Held on Sunday, April 2nd, from 6:00PM - 8:00PM! Join us for an evening of fiber inspiration at our Fifth Annual Conversational Threads Fashion Show on Sunday, April 2nd, from 6-8 PM. This is our most popular event of the year, and it’s back again! Our models will be highlighting garments and accessories as they make their way through the shop. Items will be available for a closer look after the show. Seating is strictly limited to 40, so call the shop or stop by to sign up now. The cost is $15.00, which includes a seat at the show and a $10.00 gift certificate to the shop. $5.00 from each ticket sold will be donated to Kiva, which is a charity that Conversational Threads supports. Refreshments will be served (and past attendees know they are awesome). Kiva is a non-profit organization to help alleviate poverty through interest free loans. The re-payment rate on these loans is 99.03%. To learn more about Kiva, visit www.kiva.org. This Month - Two Basket Classes! If you have ever found yourself interested in weaving baskets, join us for an afternoon as we create this Square to Round storage basket. This sweet basket is 4 1/2 inches by 4 1/2 inches by 5 inches. 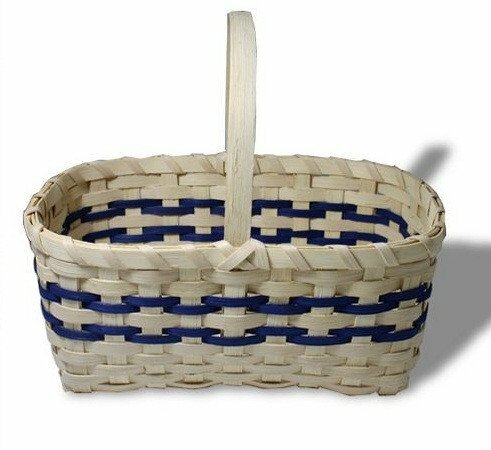 Class participants will learn basic weaving skills as we make this useful basket suitable for filling with a mug and tea bags or soaps; or for displaying a plant on a windowsill. The class is limited to six participants. Please bring a scissors, tape measure, and a pencil. Previous basket weaving experience is helpful for this class. 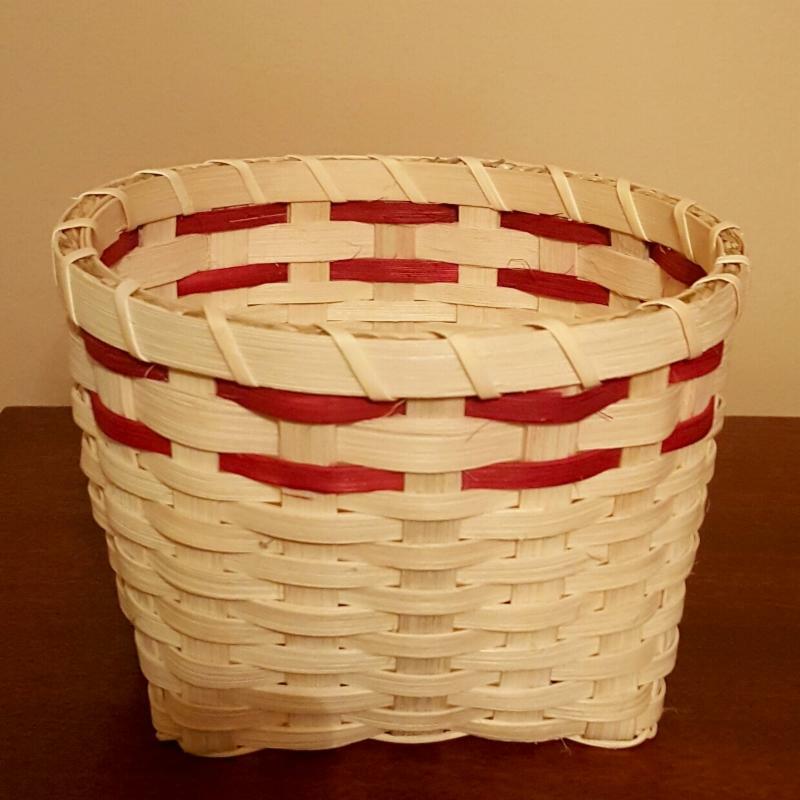 The finished basket measures 6"X12"X5". Whether using to store fruit on the kitchen counter, or corraling the remotes in front of the TV, this basket is sure to become a favorite! 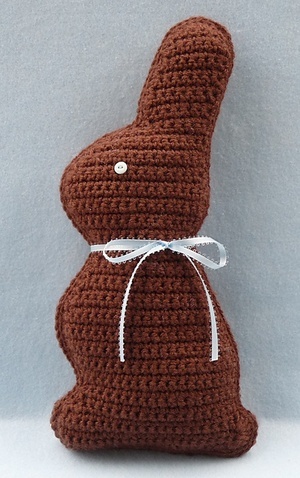 Deb's Weekly Open Crochet on Thursday evenings from March 9th through April 6th will focus on some special projects - EASTER EGGS AND CHOCOLATE BUNNIES! 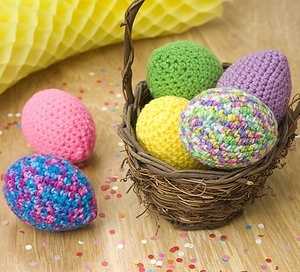 Come on in and let Deb give you a hand with creating these adorable spring crochet projects! Ever considered visiting Iceland on a Knitting Tour? 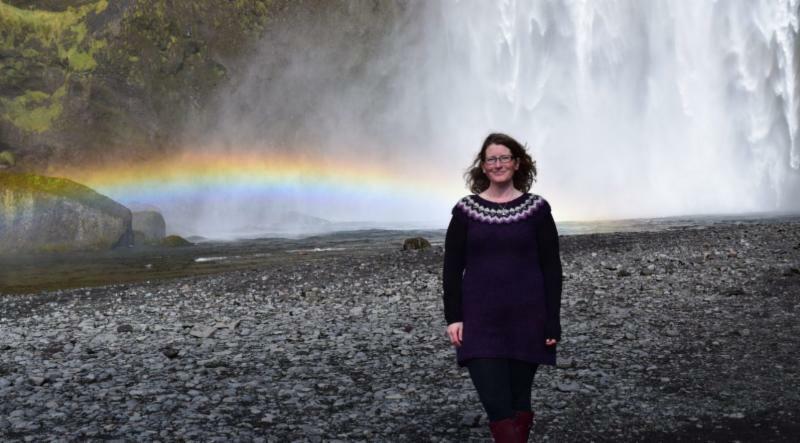 Rowan Tree Travel is offering a Knitting trip to Iceland June 3-14 to explore a land of sheep, sweaters, volcanoes, glaciers and, of course, Wool & Waterfalls! 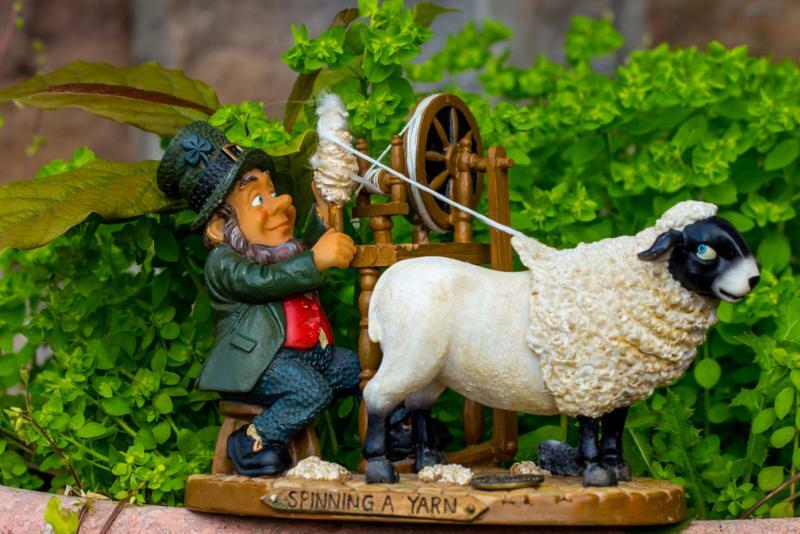 In addition to the usual stunning scenery and wooly endeavors, the group will have a private workshop with Einrum Yarn to create their Fairy Crown with Icelandic Lambswool & Thai Silk blend, relax in two geothermal spas and attend the local Prjónagleði Knitting Festival. Some hotels have hot tubs from which you can enjoy the approaching Midnight Sun in the long evenings. Along the way, the group will stop at hot springs and short walks to enjoy Iceland at its best! and be sure to mention Conversational Threads!